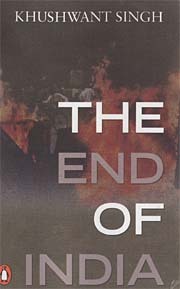 THE most read columnist of India is no more. Khushwant Singh’s columns were published in many newspapers, including ‘The Tribune’. They were translated into many languages and provided Indians with a window in which they saw the world through the eyes of the long-time resident of Sujan Singh Park in New Delhi. Sujan Singh Park is named after his grandfather and it is there that the grand old man of Indian literature passed away on Thursday. He was 99. Khushwant Singh was a scholar of no mean accomplishments. 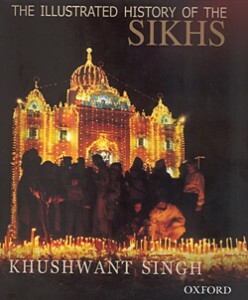 He made his mark early with his two-volume ‘A History of the Sikhs’. His translation of scriptures was published by UNESCO. The literary world celebrated his ‘Train to Pakistan’. A prolific writer, he wrote over 80 books and edited ‘The Illustrated Weekly of India’ and the ‘Hindustan Times’. 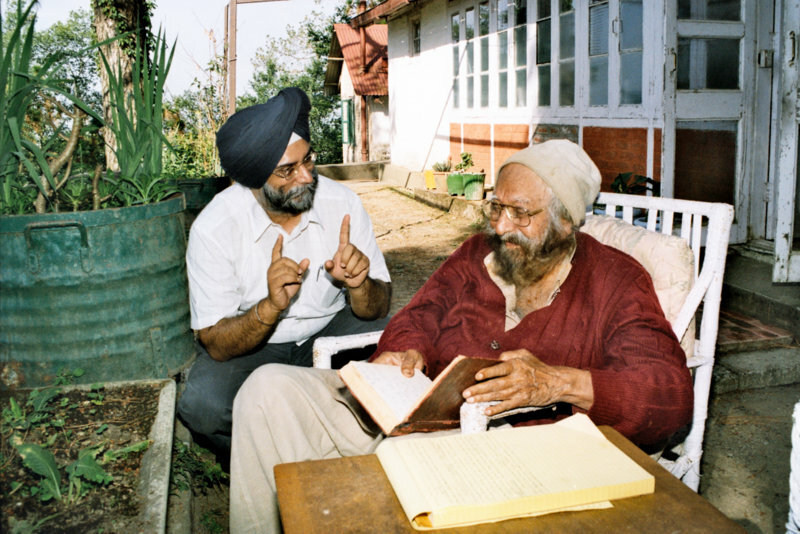 For millions of newspaper readers, Khushwant Singh was the man who brought them a slice of life with some brutally honest observations about people and events in his weekly columns ‘This Above All’ and ‘With Malice Towards One and All’. And yes! Lovely ladies flocked to him, and he enjoyed their company, especially if they had a drink with him. He was honest in his writing, and spared no one. He studied at the best colleges in the country and abroad — St. Stephens College, Delhi; Government College, Lahore and King’s College, London. His father wanted him to be a lawyer. Khushwant Singh tried, but spent most of his time in Lahore, with writers and other creative people, rather than on his law practice. After Partition, he moved to New Delhi and away from law. His father, Sir Sobha Singh, was one of the major contractors who had built the city. His short story ‘Mano Majra’ was awarded a $1,000 prize by Grove Press. It later became the famous novel, ‘Train to Pakistan’ (1956), and launched him as a creative writer. It took just one meeting with Singh to realise that the impression one had of him through his columns was wrong. 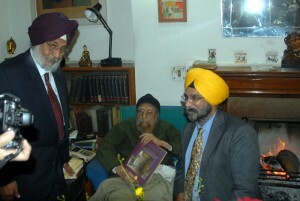 At the house of Raj Gill, a journalist, he started talking about education in America. It was later that one found out that he had taught at the universities of Rochester, Princeton and Hawaii. Yes, the columnist had much more depth and knowledge than his columns reflected. He carried his scholarship lightly and loved puncturing the pompous with wit and satire that was always honest, often biting but seldom offensive. Yet they all came to calling on him, the rich and powerful. 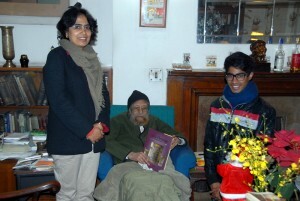 He wrote early in the morning, in long hand, on registers, and retired to Kasauli in summers. Once, after engaging in a discussion on some spiritual verses, he veered off to narrate some limericks, reasonably naughty ones. That was him. Irreverence was never far from whatever he did. 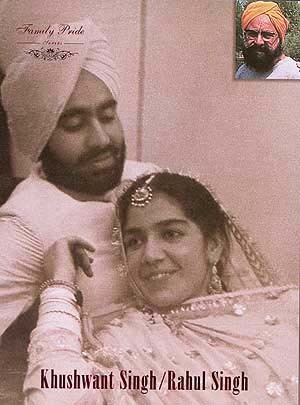 Khushwant Singh was a family man, utterly devoted to his wife Kanval and children Rahul and Mala. He lost Kanval to Alzheimer’s in 2002. Rahul and Mala looked after him in the later years of his life. The obituary by Roopinder Singh was published in The Tribune on March 21, 2014. 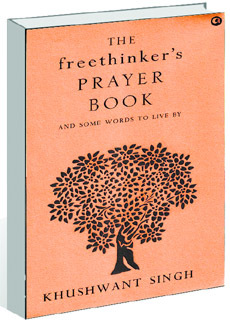 The article With a bit of malice and loads of fun covers Khushwant Singh and his work extensively.